This weekend is going to be bitter sweet drift fans. 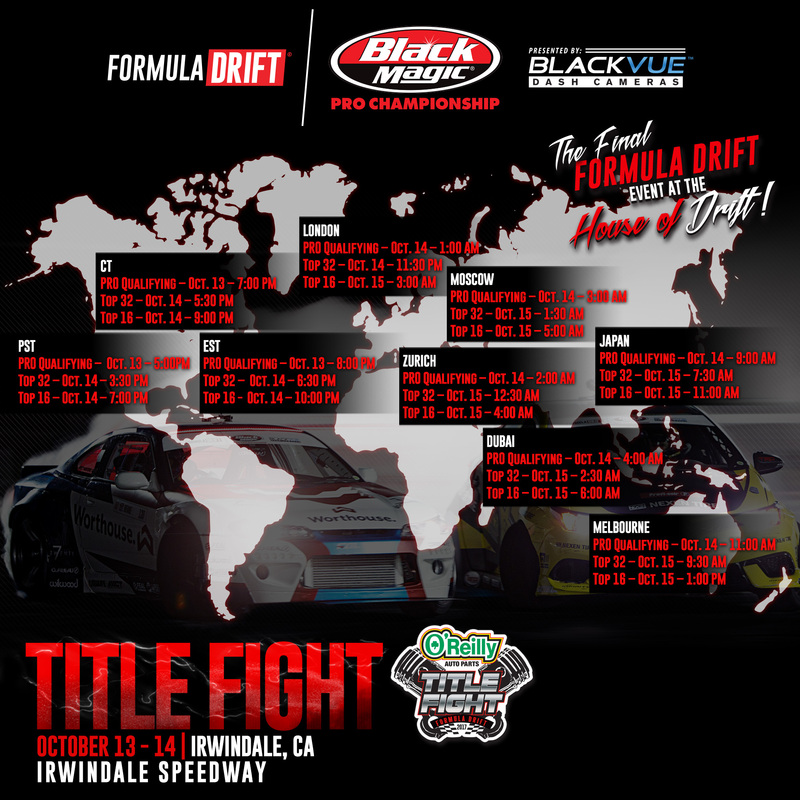 By the Saturday night a Formula Drift champion will be crowned but it will also be the end of an era as this will be the last Formula Drift event at the legendary Irwindale Speedway AKA “The House Of Drift”. If you couldn’t make it out to witness this event in person, you can still watch the livestream of the event all weekend right here! Just scroll below for the livestream feed! Qualifying starts today (Oct 13th 2017) at 5pm PST. Top 32 starts tomorrow (Oct 14th) at 3:30pm PST and Top 16 will begin at 7pm PST. If you want to know the schedule adjusted to your local time, just click the thumbnail below the livestream which is a world map time zone schedule.